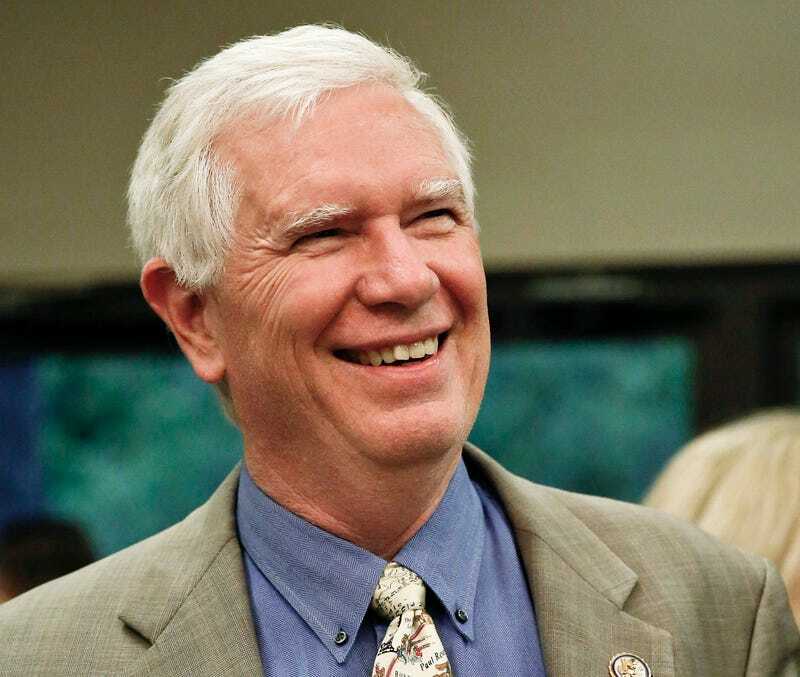 Congressman Mo Brooks of Alabama is perhaps best-known nationally for not making the runoff in the GOP’s disastrous Senate primary last year, backing Roy Moore to win the runoff, and then sticking with him even after reports that Roy Moore sexually assaulted minors. A House committee hearing on Wednesday showed that Brooks is about as good at science as he is at politics. As the Washington Post found, you’d need to drop a rock that weighed 6.6 quadrillion pounds directly into the ocean to see the level of sea rise that we see now. Chairman Lamar Smith, meanwhile, entered into the Congressional record a recent Wall Street Journal op-ed alleging that climate change isn’t causing sea-level rise, which was written by Fred Singer, a scientist linked to the carbon industry-backed Heartland Institute. “To solve climate change challenges, we first need to acknowledge the uncertainties that exist,” Smith said during the hearing. The Heartland Institute’s website, apropos of nothing, boasts that “82% of state elected officials read one or more Heartland newspapers,” and that nearly of elected officials said that Heartland “influenced their opinions or led to a change in public policy.” Translation: We’re all gonna die.